Warhammer 40k Forum Tau Online » Games Workshop/40K Related » Showcase » Ragnar Blackmane finished work. Not been posting much work recently due to demoralising comments, but i had to share my latest space wolf with you guys at tau online. Was fun trying to drag this old mini into the 21st century, and i think he has stood the test of time. Its not a bad scuplt really. I opted for a cliff like base to reinforce his commanding pose, his drab pose now makes sense as he addresses his men with a rallying speech before howling into the night with his battle brothers! Re: Ragnar Blackmane finished work. don&#39;t listen to them... they are nuts! hanging down on his armor, fookin-mega quality bro. He means by people always telling him that some of his work is not up to his normal standards, and stuif like that. I think that all gareth&#39;s work is fine. Well if he&#39;s painting bad now, how the HELL does is good work look like!? This makes me goes "cheeeezezezezeeeSus Christ "
Wha... :sadnshocked: They should be shot! Well, us here on TO will always love your work. There are always harsh critics, as CoolMiniOrNot proves, much of the work on there is amazing and it usually gets very harsh criticism for really no reason. 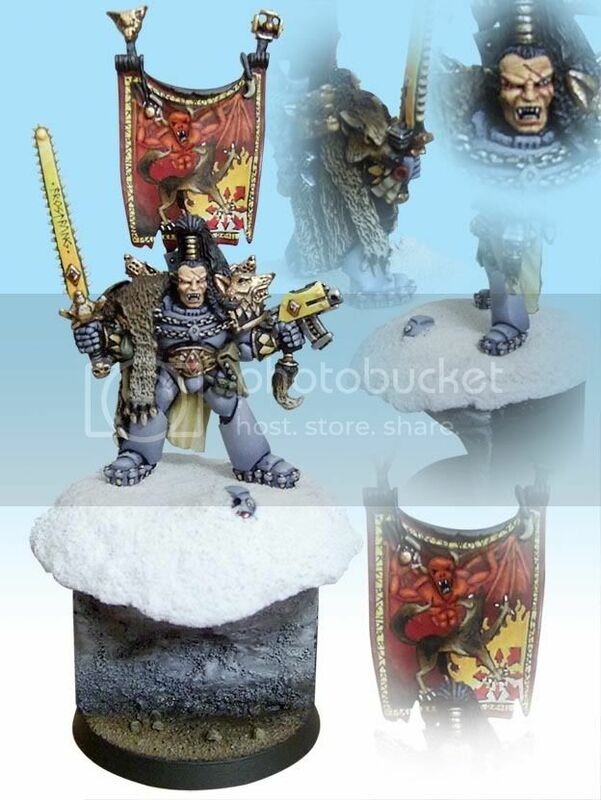 I love this model, the detail on Ragnar himself is great but what really impresses me is the banner and other little details like the helmet half burried in the snow. Amazing work man! Great. That is truly fantastic. Your painting and photoshop skills are amazing.